The sun demo will come out, tomorrow! 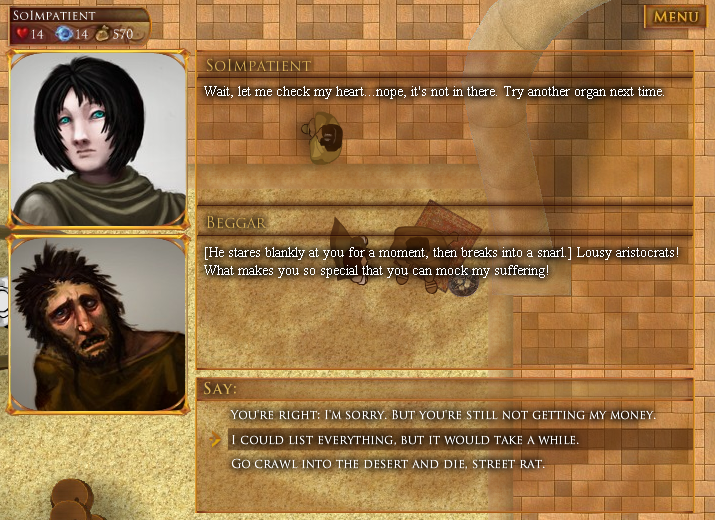 The first downloadable demo for Telepath RPG: Servants of God, that is. What’s new with TSoG? This entry was posted on Friday, May 7th, 2010 at 5:34 PM and is filed under Game Updates. This post is tagged demos, Telepath RPG, Telepath RPG: Servants of God. You can follow any responses to this entry through the RSS 2.0 feed. leave a response or trackback from your own site.